We put deep intention into every detail of a camper’s experience. Nature has endless things to give on its own. And, our trips are about much, much more. Read below and uncover the true depths of Augusta Wilderness Trips. To facilitate an empowering, exciting and mindful outdoor experience for children while encouraging their exploration of stewardship, ethics, sustainable ways of being, and wish, wonder and surprise in the wilderness. Our Vision is to connect every child with nature through challenging wilderness experiences and inspire powerful life-serving choices for themselves and others. All staff participate in the longest camp staff training in the country, adopting deep skills in specialized mentoring and communication. These are some of Augusta’s philosophical foundations used on Wilderness Trips. Wilderness Activities – Besides the incredible views, songs and laughs along the trail, we have a whole score of wonderful and wild activities we do when we set up camp. Throughout the wilderness trip, campers will be involved in a number of Sensory Awareness Activities among other outdoor teachable moments. In the mornings and afternoons before hitting the trail, we offer campers our specialized wilderness & survival-specific clinics like primitive weapon-making and fire-building. On the trail, we focus on play all the time, whether that is nature-based games, team-building activities, breaking out in song or nature art. Depending on the location and nature of the trip, other activities might include bike maintenance workshops, jade stone picking, natural camouflage or wildflower spotting! Free Play – There are heaps of organizations, studies and articles speaking to the simple idea that play is, in fact, good for children. Play is a crucial component in mental and creative development in children. We have “Outback Acts,” a wilderness version of our Camp Augusta Cabin Activities where campers get to choose a few activities on the Sunday afternoon before we embark on our journey. Environmental awareness and appreciation – Campers are exposed to beautiful, natural surroundings that they have the opportunity to engage with in a hands-on manner. This exposure, coupled with Leave No Trace values, means campers learn responsibility for their impact on the environment while enjoying being outside. 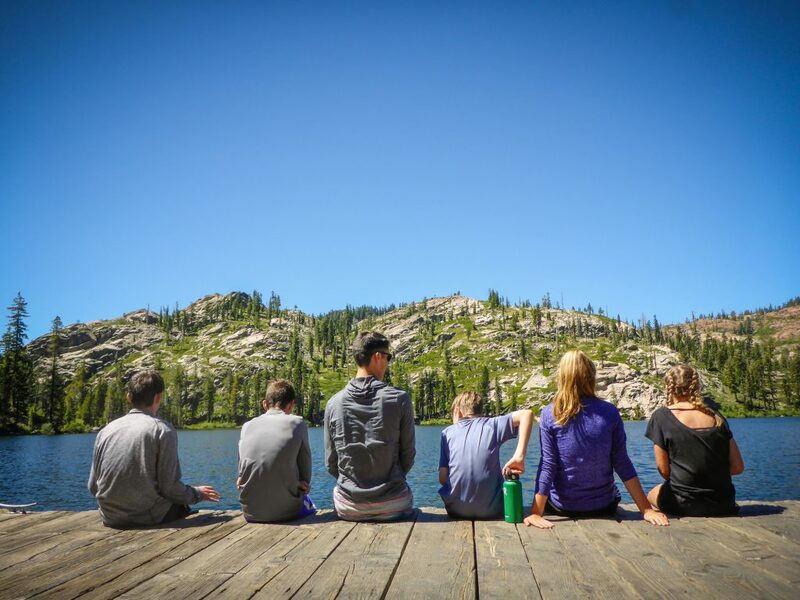 Stewardship & Ethics – Our trip leaders are committed to Leave No Trace backpacking principles, and these values are shared with the campers to increase their awareness of their impact on the natural world, and what they can do to leave a positive mark. Special Wilderness Wake-Ups: Each morning, campers are woken up in a unique and often wacky manner. They can awake to a day of magic, fun and wonder through Sleeping Bag Wrestling, to a New York Diner in the middle of the forest, to a Unicorn Stampede or a Swamp Safari. There is the classic Winchester Wake-Up, to Weak Sauce Stuntmen or Space Aliens. These wake-ups build connections and foster creativity for the day ahead on the trail. Each staff member views 29 hours of videos on child, culture, and human development before arriving at camp. Over 300 pages of staff manuals are read before staff training, and each staff member takes a 2-hour oral exam on the content, before training even begins. Our residential staff training is over three weeks long, making it the longest in the nation we know of, and more than three times the length of most other camps. Learning about others – From sun up until sun down, campers will be surrounded by others, and be exposed to new ways of thinking, problem-solving, playing and communicating. They are awakened to themselves – their true nature — when there is a framework, tools, time, and attention paid to their development while in the wilderness. Campers also engage in a number of fun team-building activities that guide the group through the Storming, Forming, Norming and Performing phases of team development. Needs-shifting – When we focus on our needs while in a group in the wilderness, we begin to realize how vastly different each of our sets of needs actually are. We help campers come up with a vocabulary surrounding their individual needs that serve life within themselves, the group and the world. What if the group doesn’t want to bike the last forty miles of the trip? How do we come to a consensus together and customize the trip to our vastly different needs? Campers begin to understand that they are responsible for meeting their needs and owning up to their feelings surrounding that needs set. When we needs-shift, we weigh in each wilderness camper’s needs and allow the group to come up with a shared strategy that helps foster a greater connection between one another. Listening and Compassionate Communication – On the trail, decisions are made through the process of consensus, and each member of a Wilderness Trip is responsible for being part of that process, which involves hearing other points of view, negotiating, problem solving and offering empathy. Our staff are trained in Non-violent Communication and encourage campers to listen to the feelings and needs of others to create a true sense of community. Listening is a skill that can be learned and developed through practice, and we train our staff to actively listen, which involves eye contact, tone of voice, ask clarifying questions and using appropriate body language. Failing Forward – A Camp Augusta Wilderness Trip provides a safe place to experience failure. Failures that campers make on our trips don’t follow them through life as they are encouraged to focus on the lesson. Many programs don’t mention failure as part of their philosophy, and we differentiate ourselves by understanding it is a natural part of learning and improving. Reacting positively to failure is fostered through Success Counseling and meeting trip members with empathy. We believe that failing forward helps develop resiliency if it can be handled in a space of balance. Self-awareness – Our Trip Leaders guide group members to empathic understandings of themselves via “Success Counseling”. Campers learn more about their own feelings and needs, and how to recognize them, and choose behaviors in service to their own needs and the needs of others. 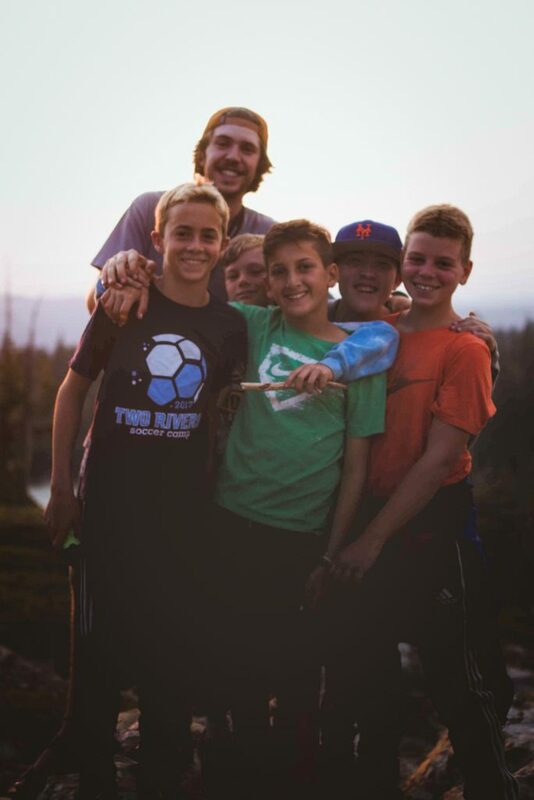 Camp Augusta Wilderness believes in the power of positive role models to influence behavior and character development and train our staff to interact with campers in ways that serve their growth in positive ways. Mindful Wilderness Experience – On the trail, campers engage in a space of constant newness and wonder. In this way of being, campers open up and allow for a world of insight and possibility that otherwise might not be available to them anywhere else. Campers work in their growth zone on the trail, sleep outside, and learn to live with people holding separate needs and values. They challenge themselves every day in the wilderness physically, emotionally and creatively, adapting their fixed and automatic ways of being into a world of opportunity and presence. This radically different experience offers the opportunity to pay attention on purpose to the present moment in a way that isn’t as accessible in their everyday routine! Exercise, good nutrition, and knowledge of healthy lifestyle – On a Wilderness Trip, campers eat healthily and get plenty of sleep. We eat together for every meal and engage in outdoor physical activity in a world away from a television and computer screens. In the wild, we have time to gather, take stock, garner insight, pause, breathe and be an antidote to stress and anxiety. Evening “Embers” – At night, once the moon is up and the crickets are chirping, the group gathers for a time together before going to sleep under the stars. These times, which we call Evening Embers, serves many purposes and forms, such as to create connection, understanding, awareness, character, laughter, history, a sense of family, and a host of other positive ends by being together with these topics, adventures, challenges, and experiences. They get their name from the close of the day being like the embers of a fire. In the wilderness, this exact scenario rings true! 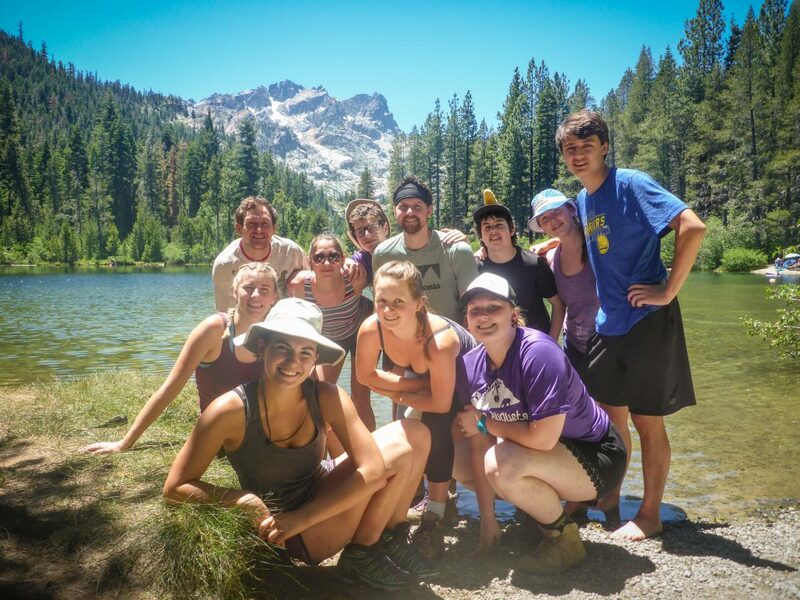 Lasting Friendships – Being out in the Wilderness is a social place to build friendships. 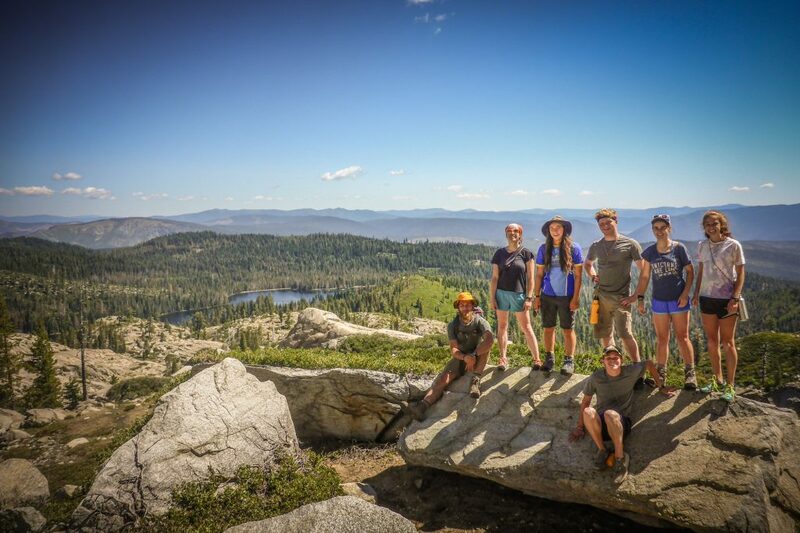 A small Wilderness group allows everyone on the trip to bond and form close relationships, as they experience nature together and work together to set up camp. Away from technology and the modern world, friendships are built through play and communication. The wilderness can have the power to move us toward what matters: our true selves and our connections with each other. When given the platform to our over-driven, over-programmed minds and bodies, we have more time for spontaneous, incidental, improvised experiences and play. Conversations are a form of play, and one we have the opportunity to engage in often on wilderness trips.